Republicans have already killed several gun confiscations bills that the Democrats had hoped to pass this year. But the Republican controlled committees didn’t axe them all. Several gun bills were referred to other committees and are currently continuing their progress towards floor votes. Governor Ralph Northam and his Democrat caucus announced a large package of gun confiscation bills earlier this year. Included in the plan was a bill to introduce gun confiscation orders for people believed to be a risk to themselves or others. Many of these bills picked-up immediate resistance. Subsequently, committees controlled by Republicans killed many of these bills over the last several days. Pro-gun advocates from the NRA and Virginia Citizen’s Defense League (VCDL) attended the committee meetings, along with folks arguing for gun control such as Richmond Mayor Levar Stoney. Afterward, VCDL announced that while many of their opposed bills had been struck down, several more were still active. “[W]e still have 24 more bills that are alive!” they reported on Facebook. The group further explained that even more proposals had appeared on their radar. With Virginia’s legislative session set to continue late into February, watchdog groups are observing whether the winds will shift before the lawmakers head back to their districts for the year. 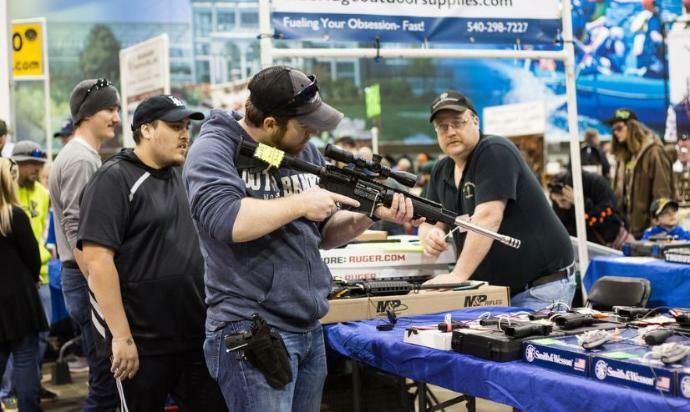 One pro-gun group, National Association for Gun Rights, asked their members to stay vigilant until the 2019 session ends. Democrats, for their part, have shifted their tune towards the November elections. The 2nd Amendment to the US Constitution is CRYSTAL CLEAR! That’s the only gun control law we need. This is NOT gun control but people control…Every politician that votes for this should be driven out of office…We need to make so noise, write, call or whatever it takes to let your elected representative know that a vote for ANY type of gun control will be dealt with at the polls. There are issues that we’re willing to compromise on, but restrictions on our Second Amendment Rights are NOT one of them. ANY legislator who supports or votes for ANY gun restrictions will NEVER get our support, and we will work to get them ousted at the next election. Virginia MUST be turned back into a conservative state again! These Deep State NWO globalist Demon-rats and anti-Trump Republicans MUST go! We need border security, which includes a wall and change in immigration laws. No more anchor babies and welfare to illegals immigrants, which causes incentive for illegals to come. No illegals should be allowed to vote. No more messing with the 1st and 2nd amendments! We need basic scriptural civil, moral, traditional family values to be promoted and rewarded. Abortion Planned Parenthood MUST be de-funded and given no tax payer funds. Praise YaHVeH through HIS Right Hand Yahvshua the Messi`Yah! Yes, the earth is over populated due to children being born out of wedlock.